One more shot from hawaii. Wearing a piece of cloth which can be worn as a skirt or dress. I don’t remember where, when and why I got this very tropical cloth, but I remember I never had a chance to wear it. So hawaii was the perfect place to put it on to just walk around and hang out at the beach. very nice..I love the colour! OMAN I want to be in Hawaii! I really need to save up for a trip there. LOVE the color of your wrap. 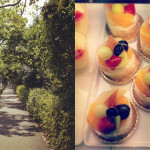 Such a nice post, I enjoyed it a lot! I like your sense of style! Wonderful photo! You look great with that sarong! Come to visit my blog and if you like let’s follow each other! That looks like the perfect dress for Hawaii or any beach! Love the print! 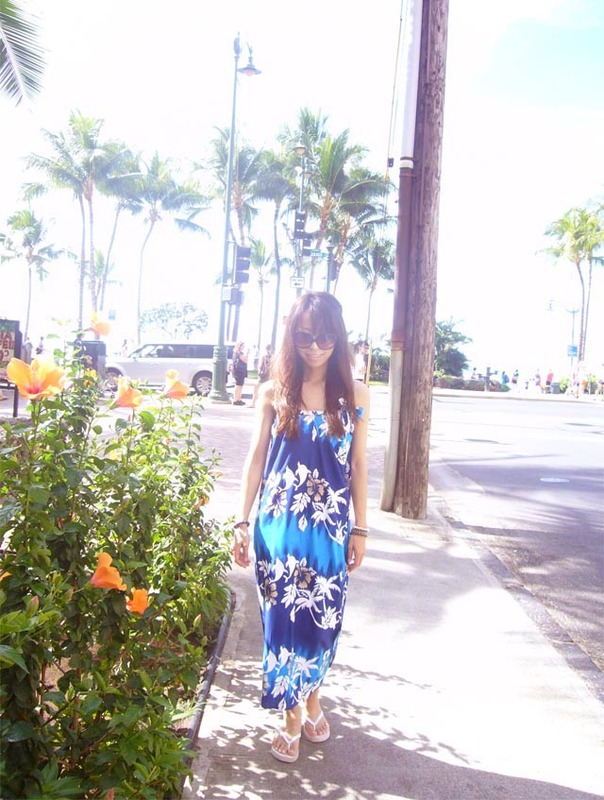 akiko, you look so pretty in this hawaiian-inspired wrap dress!! ah!! don’t you just wish that you were back in hawaii right now? ?, i so do!! have a wonderful thursday my friend!! fingers still crossed!! What lovely weather you were having!!! I miss the sun =( the dress is beautiful! That’s such a pretty print! I love the blue colours. Looks like you had a fab time there!!! :D Love your tropical dress. I actually bought a sarong in a floral print similar to yours when i went to Thailand many years ago. And yes, up to this day,i still find it hard to have an occasion to wear it,lol. Maybe i need to go to Hawaii and flaunt my sarong,haha. That’s such a beautiful print. You look so pretty! Love this! 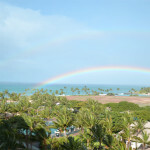 This picture makes me really miss hawaii!!!!!!!!! You look beautiful! I love the print of this material! omg jealous! it’s already getting cold here! OMG!! You are in Hawaii!! I went there like 8 years ago or so and it was amazing!!!!!! I bought there a bag with the same print as yours!! I envy so much the great weather you are having there!! In Spain freezing is the it-word! hehe!! Have a nice stay there!! i love the print in that piece…. thanks for your sweet words on my graduation!!! Love the dress, so jealous of your weather. It’s so cold in Chicago.